As a follow up to the district professional day the Egg Harbor Township professional learning community would like to offer you the opportunity to extend your learning experiences in classes that filled up quickly or were in high demand by staff. 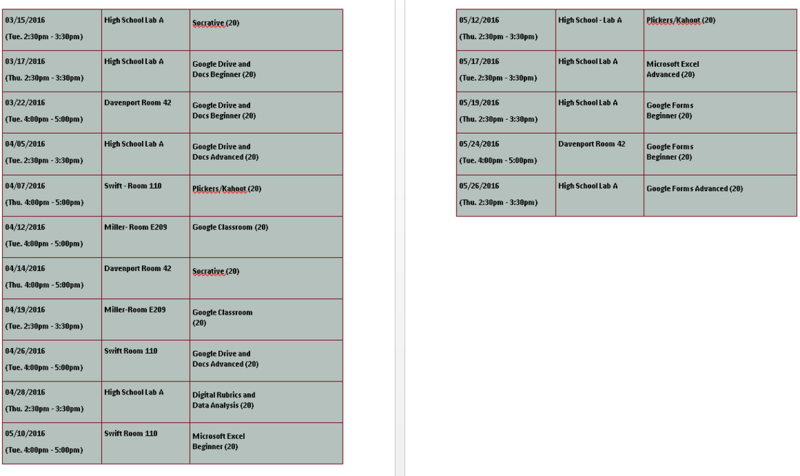 The following workshops will be offered after school during the months of March, April, and May. Please note the time and location for each of the workshops, as we tried to offer sessions at different times and locations to accommodate all district staff.